Finding seabirds in Connecticut takes a strong combination of work and luck. This is especially true with the shearwaters. These medium-sized strong-flying seabirds are not easily pushed astray by a bit of wind. Long Island Sound, a narrow body of water split between Connecticut and New York, is mostly cut off from the open ocean. Only a narrow opening in the eastern sound communicates with the open Atlantic, and even that is a bit sheltered by Block Island (RI) and the South Fork of LI. It is not a preferred body of water for a shearwater...until very recently. That just about sums it up as far as I know. 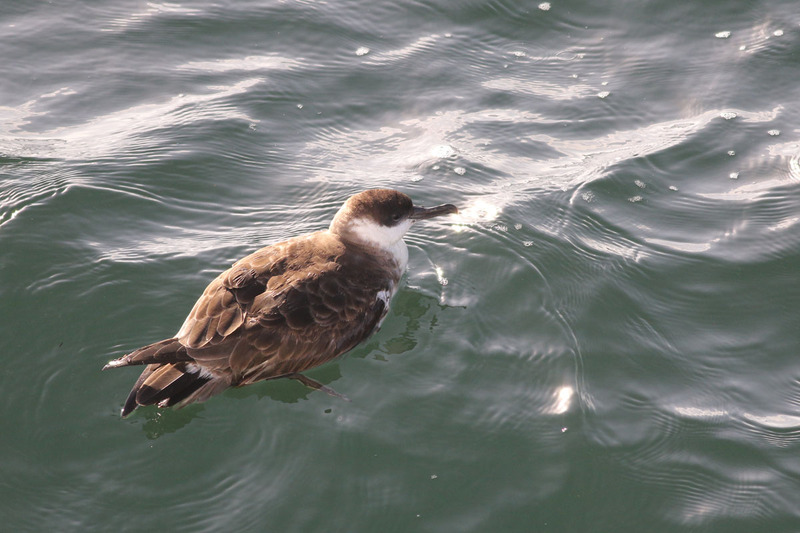 Shearwaters are historically rare in Connecticut, some rarer than others. I have been birding the CT coast on and off since the late 1990s and did not see my first shearwater in CT until 2012. Note, however, the recent spate of random non-cyclone related sightings of Cory's Shearwaters from the eastern end of Long Island Sound (summers 2015 and 2017). Fast forward to 2018. As a LIS boater/birder and general pelagic enthusiast, I have been monitoring the regional tubenose situation this year. Shearwater numbers began to build on the south shore of Long Island in late June. On June 30th I spent some time in my boat checking out the eastern Sound in search of any tubenoses, but came up empty. During the first week of July, shearwater numbers really seemed to build in the eastern Long Island area. Over the past 2-3 weeks, impressive numbers have been seen between eastern Long Island and Block Island (RI) in particular. These waters are tantalizingly close to CT. The last several days have featured tropically humid conditions, steady wind, bouts of heavy rain, and intermittently poor visibility along the coast. The wind has been blowing from the S/SE (exactly the direction in which those shearwaters have been seen). With so many shearwaters so close by, and with prime conditions for moving them just a few miles into CT waters, a few like-minded birders had planned on taking this morning's 7am ferry from New London (CT) to Orient Point (Long Island, NY) in search of pelagic birds. As if any more motivation was needed, an eBird report popped up claiming a handful of Cory's and one Great Shearwater from the same ferry yesterday afternoon! So I can honestly say that I boarded that ship this morning with an expectation of seeing a shearwater at some point along the ride. Can't say I've thought that before! On board this morning were Greg Hanisek, Bill Banks, Frank Mantlik, Dan Rottino and I. The ferry trip across to Long Island is just about split between CT and NY waters. We used smartphone GPS to keep track of our location re: state line. Not long after pulling out of the mouth of the Thames River, Greg spotted a GREAT SHEARWATER on the water in front of the ferry. This bird was probably not well, as it did not budge as the monstrous vessel just nearly missed it. We then had a small flurry of a few CORY'S SHEARWATERS and a WILSON'S STORM-PETREL on the CT side. All of these Cory's (and all Cory's seen well today) were clearly of the expected borealis subspecies. On the NY side we had yet more Cory's, another Wilson's, and two PARASITIC JAEGERS. The ride back somehow managed to be even better. First, on the NY side, some 6-8 Cory's Shearwaters were taking part in a distant gull/tern feeding flock. As we pulled out of Plum Gut we had a subadult NORTHERN GANNET soon followed by a CASPIAN TERN. 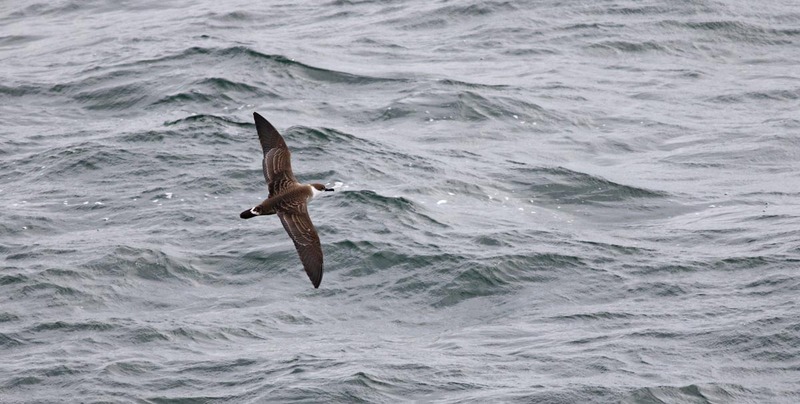 Just as we were crossing back into CT waters for the final leg of the trip, we spotted a SOOTY SHEARWATER ahead, safely across the state line. Amazingly just the second state record, and the first fully documented. One more GREAT SHEARWATER in CT for good measure, plus a few more Wilson's. Today was Connecticut's first three shearwater day. It will be interesting to see how long these birds stick around. Will they clear out as soon as this weather pattern breaks? Will some settle in to the Sound now that they have been introduced to it? As far as long-term patterns go, can we now expect a few healthy Cory's Shearwaters to wander into the Sound without cyclone help during most summers? This now makes 3 out of the past 4 years they have appeared.